I am thrilled to be in my 10th year of teaching, all here at Raymore Elementary! I taught first grade for three years and was lucky enough to loop to second grade, where I have now been for seven years. I was a pilot classroom for our district's Bring Your Own Device program in the 2013-2014 school year and am honored to have been a finalist for Teacher of the Year for 2014 and 2015. I graduated from Avila University and have lived in the Kansas City area my whole life. I enjoy spending my free time with my nieces and nephews, Mireya, Merida, Max, and Ashlyn. The class can tell you that I love zebra print, Robert Munsch, Target, Taco bell, coffee, mac and cheese, and my cats (Wiley is the crazy one, Lucie is the shy one, and Benny is the vocal one). I love spending every day at school. 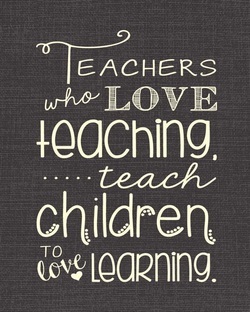 My passion is making connections with kiddos and doing my best to pass on a love for learning. We spend so much of the day together and I love every minute. I miss our class when we are not here and I love hearing all of their stories and experiences. I am motivated to do whatever I can to help each student be the best learner they can be. I wouldn't trade it for anything!